Amazon CloudWatch Logs was announced last month in the US East (Northern Virginia) region. 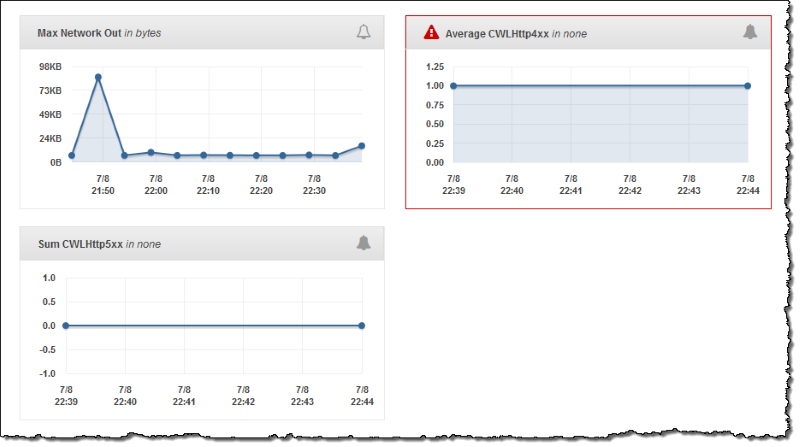 If you’re running an Elastic Beanstalk environment in us-east-1, this brief overview will describe how you can quickly and easily begin to use CloudWatch Logs to monitor your web server logs. We’ll follow the Elastic Beanstalk Developer Guide to configure an Elastic Beanstalk environment to use CloudWatch Logs to track and alarm on HTTP response codes in our web server’s logs (specifically, 4xx abnd 5xx response codes).